Is your website loading fast enough? Suppose you’ve to rush for a party and need a bouquet urgently, you search on your phone and click on a particular site, if the page doesn’t load, you instantly move to another. Having multiple tabs on the browser helps in multitasking but also implies that while a page takes time to load, you can browse another. In the age of blue ticks and ‘message read’ notifications, we demand everything in the shortest span of time. As the digital age is rapidly taking over, the attention span of human beings is getting lower than ever. It was around 12 seconds in early 2000’s, but as mobile phone usage increased, it has gone down. Currently, the attention span of a majority of human beings is 8 seconds which technically lower than a goldfish! One of the major factors for opting anything online is the time you save. If that objective is not fulfilled, customers have n number of other options. 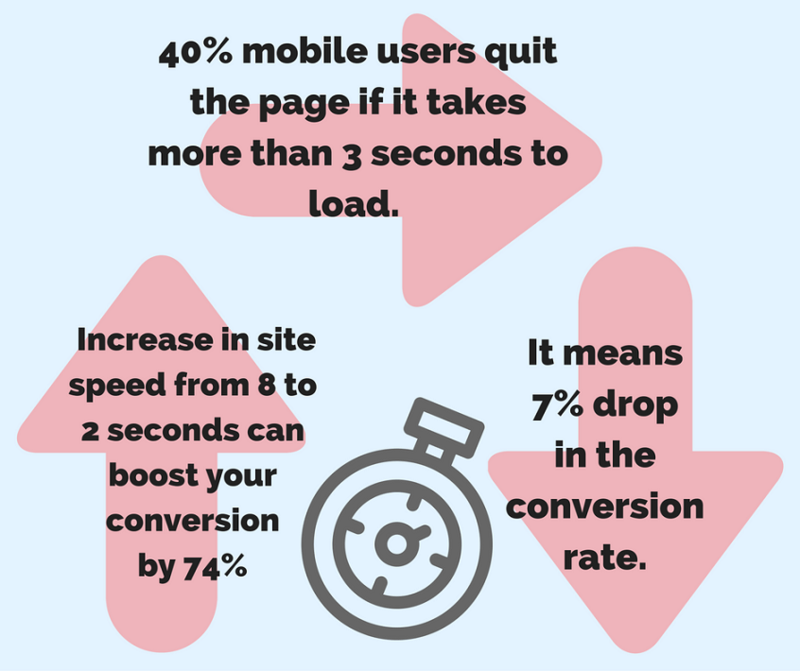 Considering this fact, you need to understand that more the page loading time on your site, more you’re going to lose out on the users. On 31st August, Facebook urged the advertisers to minimise the page loading time and optimise the website for mobile devices. The notification also says that sites that have greater page loading time will be penalised. 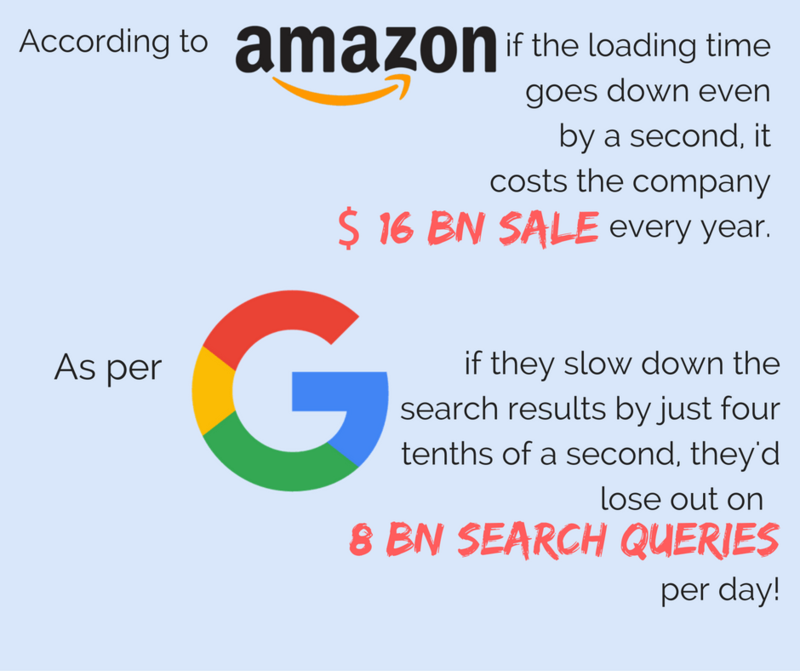 How does page loading time affect business? A lot of marketers overlook the importance of a perfectly optimised website and seamless user interface. The last thing a brand would want to do is taking its customer for granted. NordStrom – a fashion retailer had an online sale. But the sale went down by 11% as soon as the website response time came down by HALF A SECOND. This shows that not just a second, but even a fraction of a second delay in the page loading time disturbs the UI. Greater page loading time also affects the ranking of your website. 60% of the users won’t return to the website if it takes more than 10 seconds to load! Compress the files to decrease the rendering time. Cut down on the landing page redirects, plugins, and link shorteners. Use multi-region hosting to improve server response time. Reach audience quickly by using a high-quality content delivery network. Google’s Page Speed analysing tool – enables the developers / brands to check how their website is faring when it comes to UI and page loading time. Pingdom – Using this tool, you can measure your site performance and speed from various locations. Dotcom Monitor – Along with checking the website speed, this tool also helps in monitoring page functionality and performance. SEO SiteCheckup – This tool rates your website’s overall SEO performance along with the page loading time.